What: A constant hub of content and media in a real-time feed is crucial for making customers, employees and partners to feel connected with your brand. 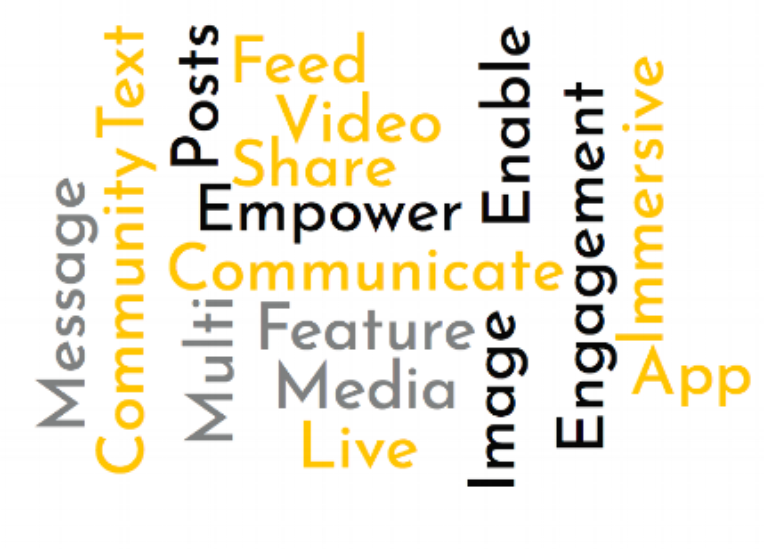 Different types of posts enrich your communications hub; text and discussion-based content ignites conversations, images give visual cues and videos allow users to capture a full experience, be it on-site or at an event. Why: Audiences — including employees — remain tuned into mobile applications which feature a constant feed of good, user-generated content. This is due to an innate desire to feel included and keep up-to-date on the latest happenings. When users feel empowered to add to the discussion and create their own forms of content, engagement and interactivity automatically go up as audiences spend more time on your platform. More than 86% of businesses are utilizing UGC as part of their marketing strategy. SilcomTech recently launched a mobile employee community, SilcomTechU, to create a central hub of communication and engagement across the entire organization. The digital community focuses on sharing stories regarding the company, highlighting wins, and promoting the voices of thought leaders in the organization in order to open a transparent dialog with all employees. Carrie A. Vision, Chief Marketing Officer, spearheaded the effort to launch and promote the app. Carrie has encouraged employees to share their thoughts and stories through member posts. Every Monday, Carrie posts a text-based question to stimulate discussion about a new article posted by CEO Neil Guidesall. She typically gets about a dozen responses from the pool of employees who follow Neil in the community content feed. In fact, just yesterday Carrie shared a selfie of her, Neil, and other members from the executive team as they finished their quarterly QBR. Employees had access to the photo right in the app, which made them feel like they got a sneak peek into the meeting. In addition to her Monday discussion questions, Carrie's team also has ongoing marketing initiatives called Live with SilcomTech. This program identifies employees that merit recognition. Each month, the marketing team creates a mini campaign around these recognition posts – including a live two-minute video stream where colleagues surprise the deserving employee with balloons and a cupcake. After all, who doesn’t love sugar? The video is then shared in the SilcomTech mobile app activity feed, where others can like, comment … and all that social media good stuff. Little things like this make employees feel valued and able to join the conversation. They can be a part of the company's narrative simply by using the mobile app to access and share the latest news at SilcomTech. Go Carrie! Ready to create your company communication hub?